On March 19, 2017 at approximately 11:50 p.m., Hillsborough Deputy Genevish was traveling eastbound on I-4 in his HCSO marked vehicle with Deputy Seigler several car lengths behind him. West of Branch Forbes Rd, a gray, Nissan Versa was approaching them at a high rate of speed in the lane next to Deputy Genevish and then maintained a half car length distance behind Deputy Genevish’s vehicle while traveling eastbound. 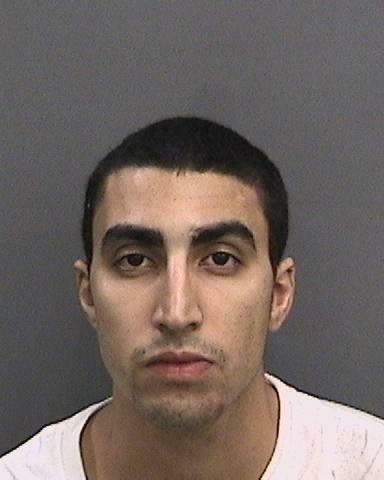 Deputy Seigler observed the driver, 24 year-old Nico Torres of Orlando, roll the window down and extend his arm out the window, forming his fingers into the shape of a gun, and mimic firing at Deputy Genevish’s marked HCSO vehicle. Deputy Seigler then observed Torres bring his arm back into his vehicle for a brief moment and then extend his arm back out of the vehicle while holding a black semi-automatic firearm. Torres pointed the firearm at Deputy Genevish’s vehicle at which time Deputy Seigler alerted Deputy Genevish. During this incident, there were no other vehicles near or between the suspect and Deputy Genevish’s vehicle. A traffic stop was conducted at I-4 and Branch Forbes Rd. and Torres was taken into custody without incident. A 9 mm Glock model 17 was located in the floorboard with a round in the chamber and no magazine attached. The magazine was located in the glove compartment. Torres appeared to be under the influence of alcohol. A DUI unit responded to the scene and conducted the DUI investigation. Torres was arrested for Aggravated Assault with Firearm on a law-enforcement officer, Carrying Concealed Firearm, and Driving Under the Influence.